Cuba is a lot bigger than I thought! In the end, given that I couldn’t do it all, eastern and southern Cuba was the right choice for a fantastic eighteen-day 1100 kilometer introduction to the island. From what I’ve read and heard from other cyclists, I picked the best of Cuba in terms of dramatic scenery and traffic-free roads. 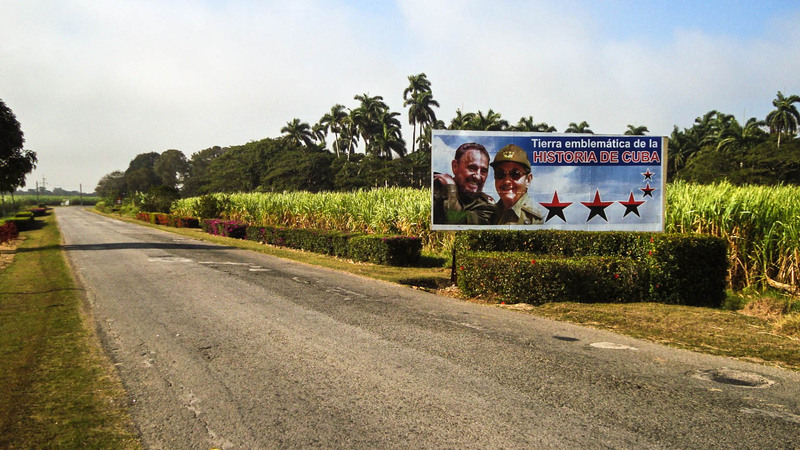 From the hurricane-battered road between Moa and Baracoa, the epic (well, at least from a Cuban perspective!) 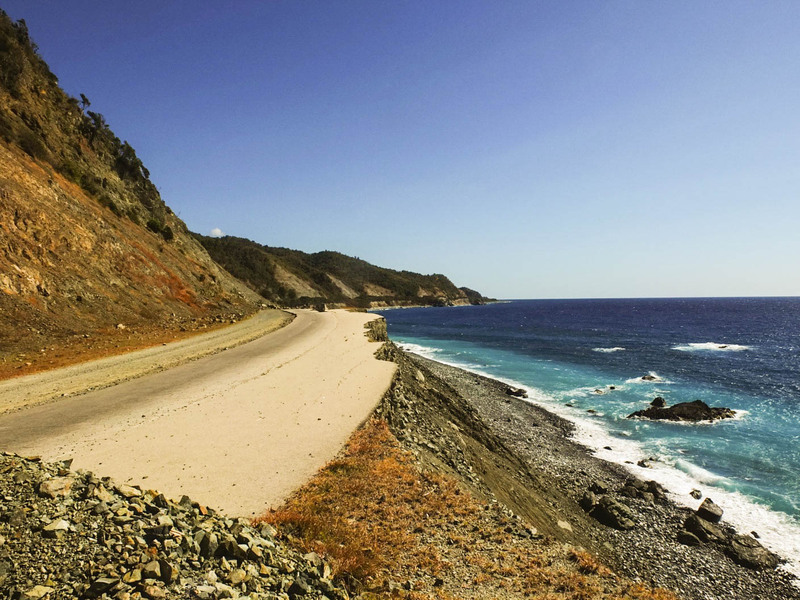 ride over La Farola to get to the Caribbean coast, and the fantastic ride along the southern coast almost all the way to the western tip – this is cycling in Cuba at its best. A bonus is spending some time in Cuba’s second largest city – Santiago, the pulsating heart of Cuba’s music scene. As for the alternatives – the trip up from Bayamo or Holguin to Santa Clara is not described by most in positive terms; the cyclists coming from the north of Cuba that I met on my tour also said as much. Even the guidebooks suggest ways of bypassing the central stretch of the island from Holguin to Santa Clara. As for cycling around Havana, it sounds too much like bicycling in or around a big metropolitan area. The favourite destination of tour companies – the area from Havana west to Vinales – is always a possibility for some future trip. However, compared to the road from Baracoa to Guantanamo or the one from Santiago to Pilon, it sounds pretty flat and tame. See the G Adventures Cuba offering here to see what I mean. Bike tours cater to the average. If you’re an avid cyclist you’ll probably get a bit impatient with the pace of the trip and the fact that the slowest people get to set it. If you choose to do it on your own you’ll also have to have some Spanish language skills and be okay with organizing it all yourself. While all of this takes time, the trip will end up costing you 65% less and you’ll avoid travelling in an English-speaking bubble! Click here to see the interactive Google map of the above for more detail. While it is unlikely that a bike tour of Cuba’s Oriente will be on many people’s “bucket list”, it is not as if no one has cycled there before! I spent a bit of time googling and found all sorts of useful accounts, summaries, tips and road info that like-minded travellers have posted before me. I also looked at the offerings of a number of travel agencies who have developed trips specifically for cyclists. 4. 1000 Miles of Cuba: the Oriente. 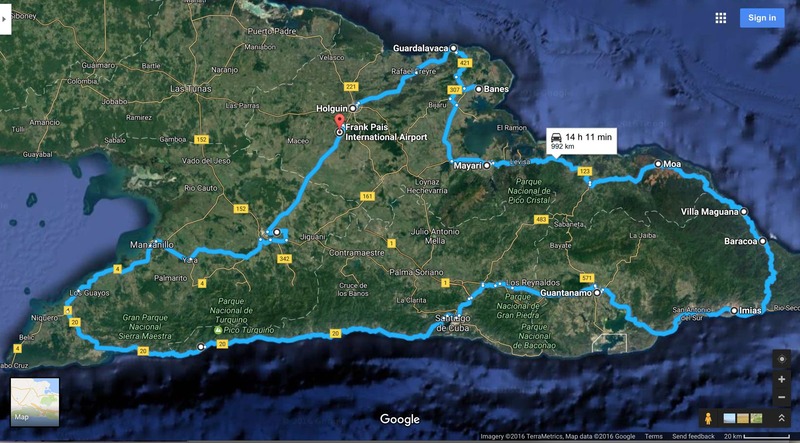 An account of an October 2011 tour of eastern Cuba that begins in Santiago and ends in Baracoa 725 kilometers (450 miles) and eight days later. The Orient route they did is the same as mine except for the missing section from Baracoa to Santiago, including the great ride over La Farola. Their other miles in Cuba I think were spent heading north from Holguin towards Havana. The first two companies listed are based in the U.K. The third company, Canada-based, has been doing cycling trips in Cuba for the past 20+ years and has developed an extensive network of contacts and resources to draw from. It also rents bikes out of its Havana office. How appropriate the bikes would be for loaded bicycle touring is an open question. I’ll admit that I am shocked at the $335. U.S. a day that the Wow Cuba trip costs. It can be done for a quarter to a third of that if you do it independently! I boxed my own bike and took it along. Flying direct from Toronto to Holguin, I spent the next three weeks on a tour from Holguin to Moa to Santiago to Pilon and then back to Holguin via Bayamo (see the map above for the route and stops). Google around a bit and you may find another organized tour being offered that has a route and a price more to your liking! There are a couple of books which come up when people discuss cycling in Cuba. Both were published fifteen years ago and could use updates! The first is Lonely Planet’s Cycling Cuba by Rosa Jordan and D. Choukalos, which was published in 2002. The Toronto public library system has massive holdings but it doesn’t have this one. I did find it listed on Amazon (see here) but it was categorized as “currently unavailable”. 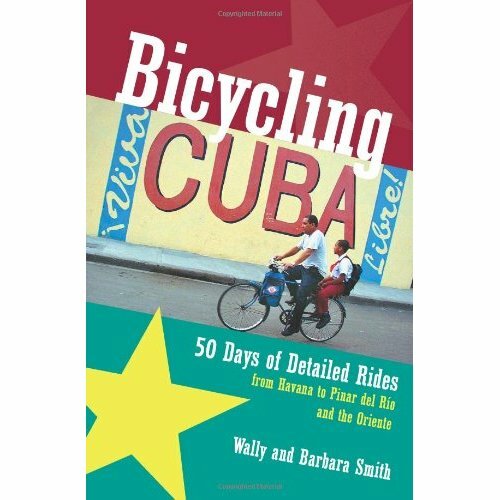 The other book is Bicycling Cuba (50 Days of Detailed Rides From Havana to Pinar Del Rio and Oriente) by Wally and Barbara Smith, the first and only edition also published in 2002. The Smiths do have a website (click here) where you can find some updated info and find out about the book. I found a new copy available on Amazon and spent the $30. to get it ($10. for the shipping!). Click here for info. It was definitely worth the expense – lots of maps, useful info and tips and road descriptions and a gear list that should ensure that you will have what you need. I ended up taking just the 100-page section on Oriente along for the ride. I may use the material on the ride west from Havana on a future ride. Picture this- it is 2:00 p.m. and you’ve been cycling along the coastal roads of eastern Cuba and you spot a beautiful stretch of uninhabited beach. It is hot and you decide that this is where you will be spending the rest of the day. You wheel your bike towards the beach and lean it against the tree while you go about putting up the tent in the shade. Soon you are in the water in your own little piece of paradise and looking back at your tent- the end of another great day on the move. That is how I thought it would be when the idea of Cuba first crossed my mind. Island, beaches, tent…freedom. Not every night but maybe every other. The original plan was to take along my lightest tent (a 1 kg. Big Agnes UL Fly Creek) along with my lightest sleeping bag and a Thermarest pad. I figured I would spend maybe a third to a half of the nights camping and find accommodation for the rest of the time. So my load will definitely be a little lighter thanks to my revised plans. It does turn out that Cuba has campismos, used mostly by Cubans on vacation but sometimes open to tourists. These are not tenting places but rather campgrounds with rentable huts. Of the eighteen nights I’ll be needing accommodation in Cuba, I plan to stay in one campismo. Campismo Yacubo Abajo is on the way from Baracoa to Guantanamo and will make a great stop after my ride over the Farola, the mountain road that crosses the Sierra Cristal. The fact that I’ll be passing through on a Monday may complicate things if it is closed (as campismos often are from Monday to Thursday). I’ll phone ahead from Baracoa to make arrangements. Time will tell! See here for cubajunky’s web page with up-to-date info on campismos. My number one choice of accommodation ended up being tourist hotels and resorts. I went this route because I wanted some degree of security and insurance built into my trip. (You may not like the idea of being boxed in and committed to the degree I have accepted for this trip.) I was able to book a number of places on-line so I knew that there was a room waiting for me on a particular night. All of my reservations worked perfectly – no hassles whatsoever. I was quite impressed! Being able to prebook and prepay also means that I didn’t have to travel around with a lot of money on me or make frequent use of my VISA card (along with the 15% service and administrative charges). In fact, forget about using a VISA card as almost no places will be equipped to deal with it! – I booked a room at the Brisas in Guardalavaca for one night- it was my single most expensive stop. It did include lunch, dinner, and breakfast, and provided me with food and water for the next day’s ride. – I also booked a room at the Islazul Miraflores in Moa, my end point after a longer day’s cycle from Mayari. – Down the road from Moa I splurged on a room at the idyllic Villa Maguana after what should be an interesting day’s cycle on what is left of the coastal roads after 2008’s Hurricanes Gustav and Ike. – In Baracoa I booked two nights at El Castillo, the hotel with the view and the great restaurant according to the guide books. – I also booked a room in the centrally located no-frills Islazul Hotel Guantanamo for the day after the stay at the campismo. Along the southern coast I booked rooms at resorts in Chivirico and Marea del Portillo and then the Hotel Niquero as I headed north towards Manzanillo. My last hotel was the Hotel E Royalton in Bayamo. The rest of the time I sampled what many consider to be the best option when visiting Cuba- the casa particular, the Cubano version of a bed and breakfast. For the past decade or more Cubans who have gotten the appropriate license have been able to rent out rooms to tourists. The going rate seems to be about $25. or so. I stayed in casas particulares in Holguin, Banes, Mayari, Santiago de Cuba, and Manzanillo- a total of seven nights. Obviously, you need some basic Spanish to get by so any time you spend beforehand upping your fluency will be a plus! You will sometimes be approached by people as you are cycling through town; they will offer you illegal accommodation at their home but it can be somewhat dicey. You will be taking someone’s bedroom for the night and they will be getting tourist pesos – as long as they don’t get caught, sometimes turned in by jealous neighbours. Check out the website titled TravellingTwo by two Canadians, Friedel and Andrew, for a downloadable guide to Bike Touring Basics – and read all about their Cuban experience at the same time. Their inspiring site is a goldmine of potential bike touring destinations! This entry was posted in bicycle touring and tagged #1 bike trip in Cuba, best cuba cycle route, Cuba bicycle tour tips, cycling trip reports- eastern Cuba, how to bicycle Cuba, info on bicycling cuba, planning Cuba bicyle trip, planning east Cuba cycling. Bookmark the permalink. John, I did the trip on my own. On the road I did meet a German cyclist near Mayari and we travelled together to Baracoa over two days. Other than that, it was just me and my Spanish language skills! 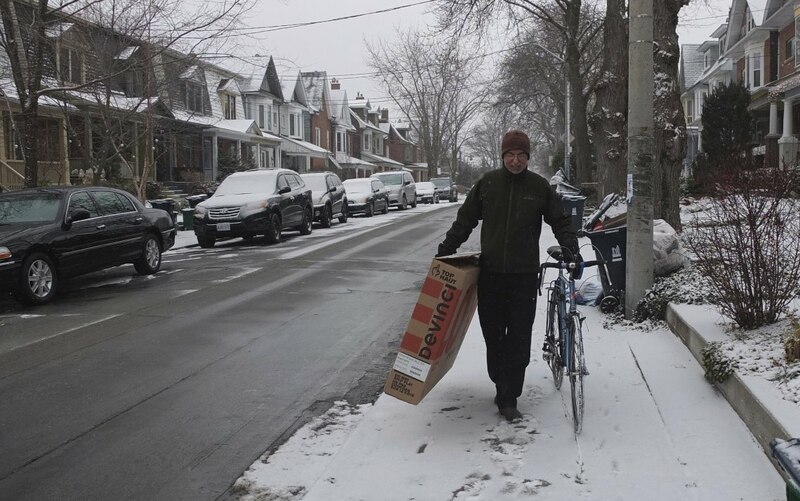 Once or twice I did meet other cyclists and we exchange observations about road conditions and such. If there is one thing you should do – you probably have already! – it is learn some basic Spanish. I took a Spanish class heavy in conversation before I went and it made a big difference! Your smartphone with the Google language app will also be very helpful – it did not exist when I was there! Many thanks – and I wanted to go with a group initially but the tour company was taken over by a US parent and the new restrictions meant they had to cancel the trip for me. Im not overly disappointed as you said I would be in a group of English speaking people and perhaps not meet many real Cubans. I agree with you that Spanish is necessary and yes I’ve started on this exercise. I will be forced to communicate and will take a few resources including pictures of Ireland, family and interesting bits. I start in Holguin on 5th Jan and am looking forward to it. Thanks again for your help and taking the time to upload your experiences and pictures. Bringing a photo album of your family and house and neighbourhood is a fantastic idea! I am planning on a return visit to Nepal and think I will do the same thing! Re: learning Spanish. I found the Pimsleur lessons – I eventually did all 90 1/2 hour lessons – worked for me. You still have enough time to perhaps do the first 30!